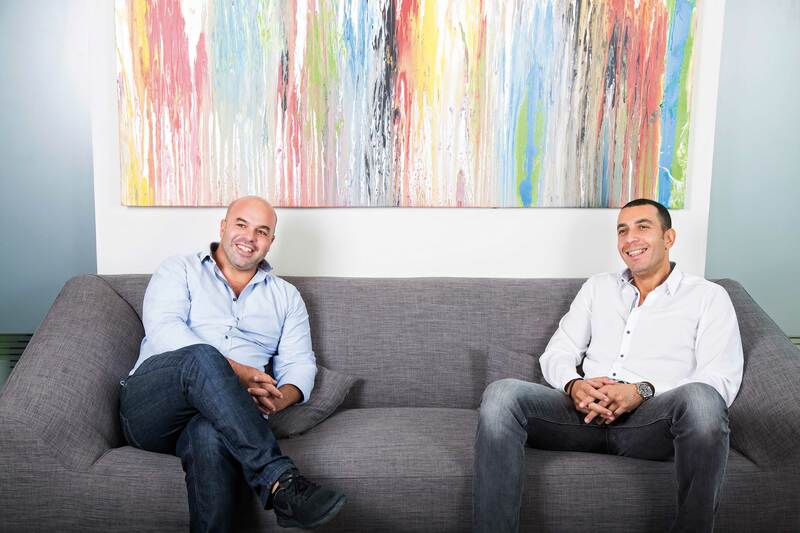 Hussein Rifai and Ahmed El Adawy are the dynamic duo at the helm of Inertia, the successful real estate development company they started 10 years ago. Despite Egypt’s difficult economic environment, the relatively young company has been making significant inroads in the market with its innovative business model. eniGma caught up with Inertia’s two partners in their modern offices in the upscale Sheikh Zayed City, to find out more about their intriguing path to success, their innovative business strategy, and their current and future development projects. Here are excerpts of the interview. Tell us about Inertia. What brought you two together and what were the challenges you faced when you started this company? We were close friends since university. After graduation we both joined a consultancy firm that was established in the 1970s by El Adawy’s father. We were in charge of the business development unit, which focused on the restructuring of the office and maximizing the firm’s domestic and international job opportunities. We remained there from 2000 to 2007. During those years we also started Aura, a creative design studio, which is still in operation, and is run by our third business partner, Alaa Mahmoud. It’s a design studio involved in architecture, landscape and interior design. In 2007, we created Inertia, which includes Inertia Properties dealing with real estate development and Inertia Construction, which acts as a contractor. We combined them with everything else we do, like design, consultancy, contracting, and development, under a holding company called Inertia Holding Group. That’s how it started. Can you explain the concept of sub-development, which today is closely associated with Inertia? Is that the “raison d’etre” of your company? Sub-development was not our initial concept when we started Inertia Properties. We were faced with the two main challenges all real estate developers in Egypt face, namely, how to raise funds to begin our projects, and how to overcome the scarcity of land for development. Beginning developers like us have to compete for the very limited lands sold by the government, since it is the primary source of land. For us, these challenges were more severe because we had very limited resources. When we looked at beginner real estate developments abroad, we saw that our case was not unusual. Their answer was either to buy land from mega developers or to partner up with them. We decided that it was time for the real estate market in Egypt to change in the same way. So, our solution to the challenges we faced was to start working as a sub-developer. We would buy land from the mega developers with huge land banks and develop it ourselves or we would partner with them on specific projects. It’s a win-win situation. However, it’s important to note that Inertia Properties was not established as a sub-developer. We are a real estate developer. We became a sub-developer in order to solve the issue of land scarcity and lack of funds that faced us at the beginning. Currently, Inertia Properties has nine projects under development, and only two of these are sub-development projects. What do you think your edge is in today’s real estate development market? Our innovation is not simply that we started as a sub-development company before we moved to independent development. It’s in the way we look at the needs of the market. Our main asset is how we meet our company’s needs, as well as those of the other stakeholders, in a creative way. That is our business model. Our company’s value does not come from whether we bought land from the government or from a mega developer, since that financial aspect of our business always keeps changing. With the market constantly changing, innovation lies in your ability to develop a fresh outlook as needed. We could see that there was an incoming wave affecting the economy, which had to be respected. We realized that we had to be ready, since everything in the country was going to change. Basically, our innovation is how we keep our stakeholders happy; we need to keep them satisfied as the world changes around us. We must be able to always present them with something that is up to our standards. Can you explain how Inertia Holding Group is structured? We have two separate entities in the company, one is real estate investment and the other is development. The entity dealing with real estate development, Inertia Properties, covers all aspects of development from the moment we pick the designated land to the last moment when we distribute the profits. In order for the development aspect to work well we separated it from the investment entity of the company, Inertia Holding. Over time, the needs of stakeholders will change. For instance, about 10 years ago investors would find a projected IRR of 23% on their initial investment attractive because the bank was giving 10% interest. But now with the bank’s interest rate at 20%, we need to show investors that they can expect a 35% profit instead. The same principle applies to landlords. In 2012 and 2013, they were desperate because Egypt’s prospects were looking bleak; but now their land is considered scarce and they value it accordingly, of course. The relationship among stakeholders today is also different. When we separated the roles of developer, investor and landlord; we had to educate the stakeholders the differences between each of their roles. Seven or eight years ago, the government was responsible for all the roles: as investor, as landowner, and developer. Today, even the government has adopted our model. What is Inertia’s vision when it comes to developments in vacation locations? Some of your advertisements claim that your projects would be used all year round. Over the course of the past seven years we helped make El Gouna a year round destination. Our idea was to introduce new residents with a specific profile and age. We explained to Orascom that we, as young professionals, could not afford an investment in El Gouna, and there were thousands like us in the same predicament. So we agreed to partner up with them to create a new segment in El Gouna that would cater to people like us. For each project, first we determine what we need to do on the land. Then we identify who the stakeholders will be and what their needs are. The needs of the stakeholders are the trigger that determines the structure of the project. For our Jefaira project on the North coast, we saw that absurd amounts of money had been spent from Sidi Kerir to Marsa Matrouh on compounds being used for only 2 months in the year, at best. For the North coast to become a year round destination, either the government or a private developer with enough land, has to take the initiative. This is how we developed the concept for Jefaira. We identified the problem and realized that the solution was for us to acquire an appropriately large plot of land. It took a long time, but we managed to acquire a plot of 5.5 million sq meters, a size that allows us to credibly develop a town fit for a year round lifestyle. Jefaira is composed of a residential component and a non-residential component. In 15 years, the residential component will have 12,000 to 14,000 units; and our target is for 25% to 30% of these units to be year round residences. In order for these people to live there all year round, all kinds of services need to be offered throughout the year. Vacationers who usually spend a couple of months in the summer will be able to spend a longer time since all the services will be provided. Service providers will flourish since they will have more customers, and they will provide more services that make customers happy. Finally, the 25% or 30% of residences that will be occupied all year round will base their livelihood on the non-residential component. The non-residential component depends on 4 main platforms. We will have a medical platform that will offer medical services to the residents and to nonresidents who will come specifically for these services. The second platform is education, consisting mainly of a boarding school and a top-notch university that would attract Egyptians who increasingly send their offspring to study abroad. The third platform is sports. There will be a sports complex with training camps for sports teams, and playgrounds for domestic and international matches. The fourth platform is hospitality, namely hotels, resorts, and marinas, which will attract domestic and international tourism. The local population in the surrounding area will also experience increased economic opportunities all year round as they participate in the services being offered. What do you see will be Inertia’s long-term impact on the real estate market? At the end of the day the culture at Inertia is centered on the idea that it is time to believe in youth. When we started our company 90% of the people we met thought we were too young. Fortunately a few people believed in us and decided to take a risk with us. This belief in the abilities of young people is at the heart of our company. Our motto is youth empowerment. We give people working with us a sense of freedom that allows them to excel and to express what’s inside of them. We highlight freshness and innovation in solving problems. Whenever an employee works in a new different way, he makes an impact and the feedback is positive. Making an impact is what’s important to us. 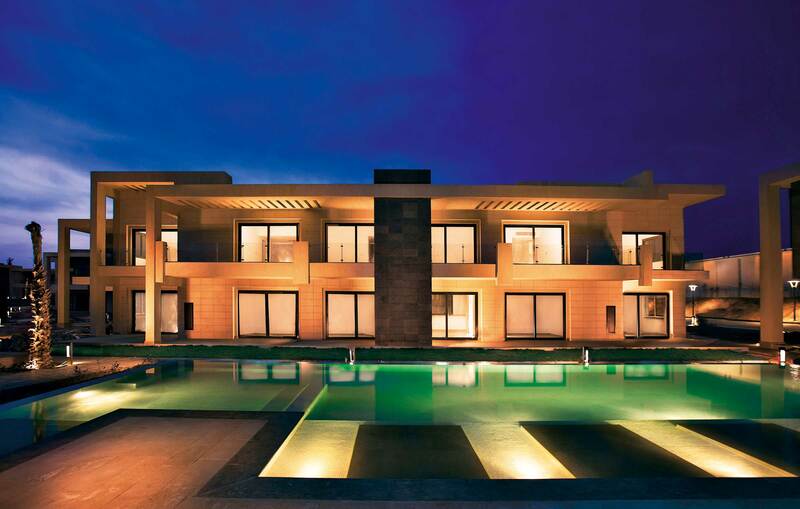 Inertia’s real estate developments range from cutting edge medical centres, such as Medipoint Sheikh Zayed, and Medipoint Mena Plaza, residential compounds in Cairo like West Hills, Soleya, Brix, and Joulz , Red Sea developments like G Cribs in El Gouna and Veranda in Sahl Hasheesh, to their mega-project, Jefaira, in the North Coast. Inertia is renowned for the high quality of its developments, its immaculate designs, and the warm, vibrant communities it creates. 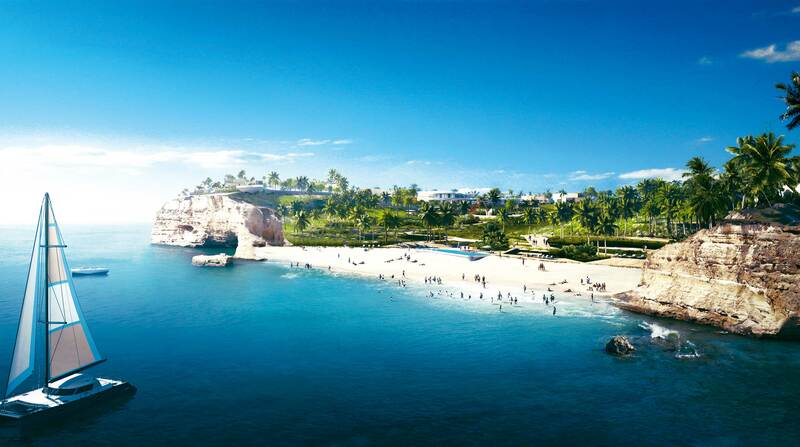 Jefaira stretches over 5.5 million square metres with a 3.6 km coastline overlooking the Mediterranean on Egypt’s North Coast. Jefaira provides exclusively designed private residences ranging from family villas, to spacious two and three bedroom condos. Equipped with a variety of services and amenities, including a delightful promenade and a beautiful marina, Jefaira provides an upscale locale that is designed for year round living. All services needed by fulltime residents will be available on site. Jefaira is strategically located 30 minutes away from Al Alamein International Airport and a two-hour drive from Alexandria, making it easily accessible to motorists and international travellers alike. 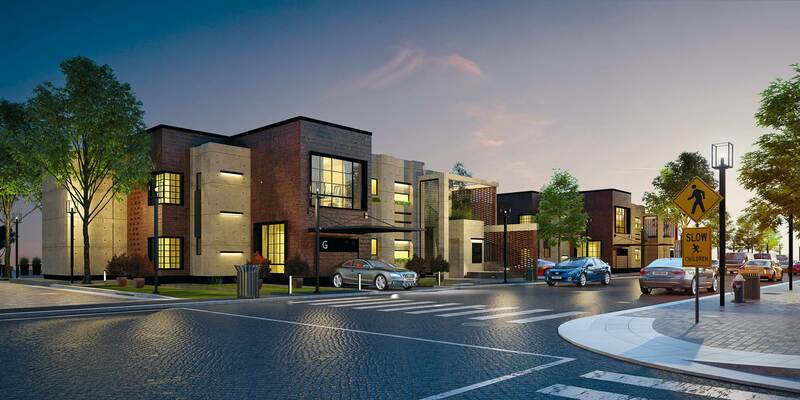 Located on the Cairo Alex Desert Road, Joulz consists of 1,150 residential units including apartments, townhouses, twin houses and stand-alone villas. Joulz’ innovative eco-friendly home designs are aimed at maximizing natural light and include lush indoor greenery to acclimatize the temperature in the homes, while keeping the air fresher and cleaner. The surrounding green spaces also include jogging and bicycle lanes to allow residents to enjoy a healthy lifestyle that is hard to sustain in the city. A clubhouse, two professional sport’s fields, and children’s playgrounds, are among the many facilities that serve this distinguished community. 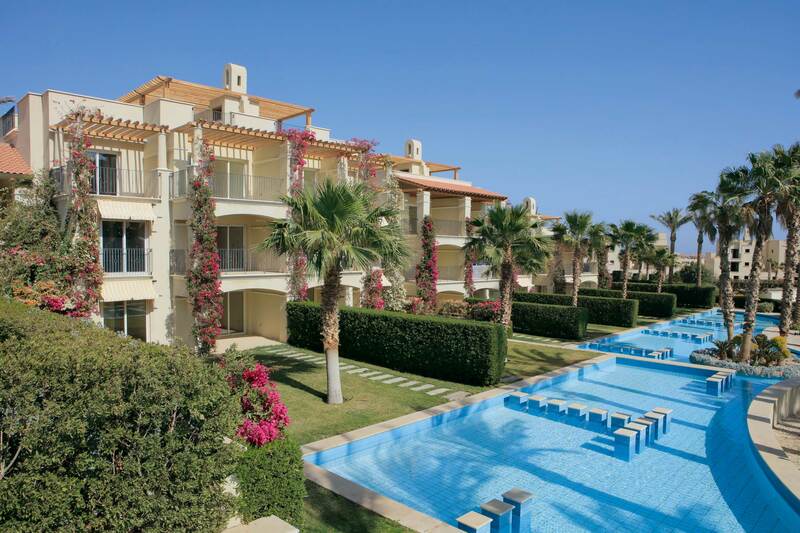 Located in Sahl Hasheesh, on the Red Sea,.Veranda consists of 318 residential units that include studios, one and two-bedroom apartments and villas. Set in a mélange of exotic gardens and surrounded by lagoons, every home in Veranda enjoys idyllic views without compromising privacy. The white and cream colored Mediterranean themed villas blend into the coastal terrain, while red brick roads invite residents to take scenic strolls in village-like passageways. Veranda’s homeowners enjoy exclusive facilities that include a private beach, a clubhouse, a spa, a fully-functional gym, swimming pools and a clock tower. Set in a total area of 44,000 sq. 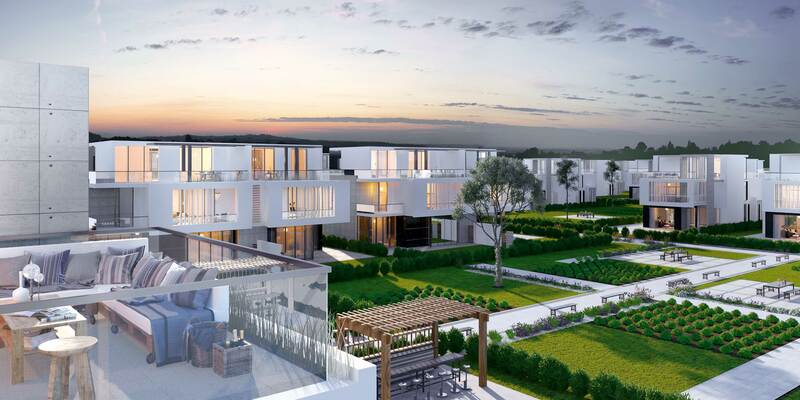 metres with a large open expanse of greenery, Brix consists of 142 residential units, ranging from fully finished apartments to semi-attached villas. In addition to outstanding views for all homes, Brix provides a variety of leisure facilities including a clubhouse with a heated swimming pool and a variety of door-to-door services. Inspired by a measurement tool for honey solutions after which it’s named, its innovative design, consisting of grids resembling beehives, is the epitome of both luxury and originality. G Cribs, Phase II, in El Gouna on the Red Sea, is composed of 198 residential fully finished units in a total area of 25,000 sqm. Catering to a range of accommodation preferences, it includes studios, and one, two, and three bedroom apartments in buildings equipped with elevators, garbage chutes and onsite generators. Residents will enjoy the on site swimming pools and clubhouse, besides access to El Gouna facilities provided by their homeowners card. 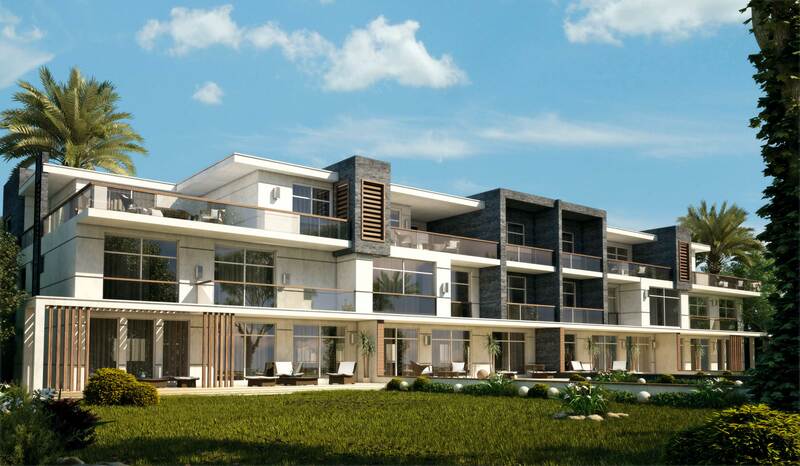 Currently being built near Qobet El Hassana protectorate, an ancient nature reserve near the Cairo-Alexandria Desert Road, Soleya is an elegant development offering stylish, luxurious homes with dazzling views of the Great Pyramids of Giza. With 77% of the development’s area consisting of greenery, along with the lush greenery of the immediate surroundings of the compound, residents are guaranteed beautiful vistas in all directions. 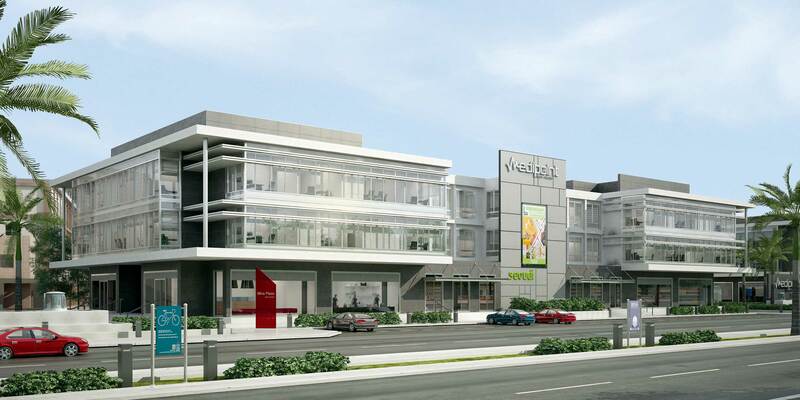 Medipoint, located in the heart of Sheikh Zayed, in 6th of October city, consists of four spacious floors offering 5 star medical services provided by a variety of privately owned clinics. With its modern design and state of the art equipment, the building is finished to perfection in every detail, and includes a large car park for patients and visitors. Its location also allows ease of access from downtown Cairo in an estimated 20 minutes. 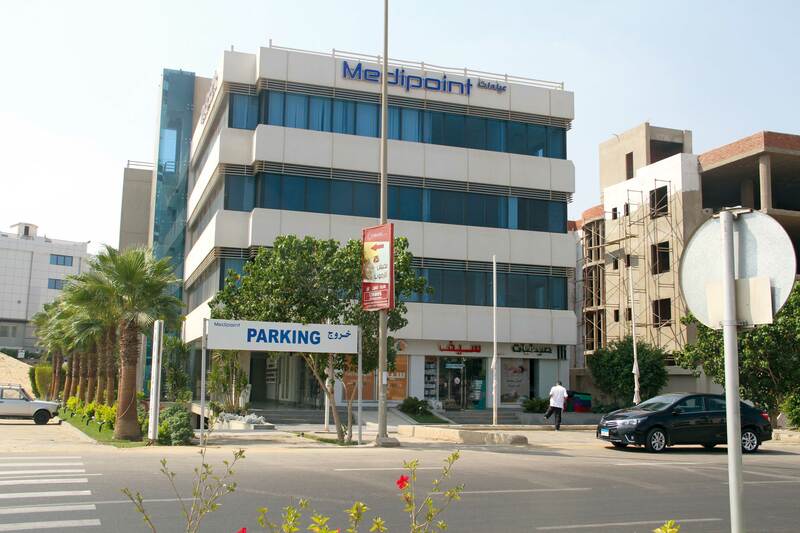 Located in 6th of October city, Medipoint Mena Plaza is in close proximity to Dar El Fouad Hospital and Mall of Arabia. Its two exquisitely designed three story buildings consist of a dynamic commercial ground floor and two fully equipped medical floors with a total of 48 clinics, a radiology center, a pharmacy, and a laboratory. 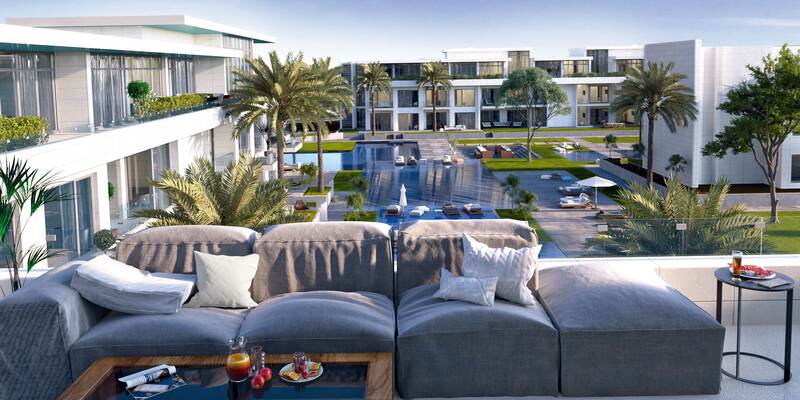 Distinctively situated in the breathtaking gated community of El Gouna on the Red Sea, G Cribs is a modern, ‘hip’ compound providing a youthful, yet serene, environment designed in a simple modern style. With El Gouna’s homeowner’s card each of its 99 units enjoys access to the clubhouse and swimming pools as well as all of El Gouna’s facilities. Situated between the Cairo-Alexandria Desert Road, the Ring Road, and the 26th of July corridor, West Hills offers an elite community lifestyle with easy access to both downtown Cairo and 6th of October city, with restaurants, shopping centres, golf courses, universities within reach. The development stands atop a vast expanse of elevated land and offers eye-catching homes with a panoramic view of the Great Pyramids of Giza.